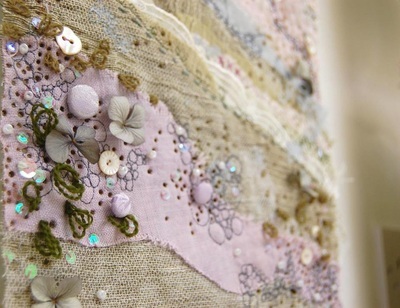 Join Emily Notman, an accomplished textile & mixed media artist, who will help you to create your own Mini Meadow & Textile Landscapes, using hand stitching and fabric manipulation techniques. Learn Emily’s processes and experiment with embellishments. There will be chance to use machine and hand embroidery.